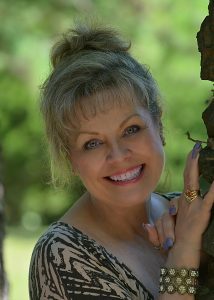 Allison Bottke is a bestselling inspirational author and speaker. Her international outreach includes over 30+ published non-fiction and fiction books, including the acclaimed God Allows U-Turns compilation book series, the God Answers Prayers series, and the bestselling, award-winning Setting Boundaries series from Harvest House Publishers. Book one in her current series, Setting Boundaries with your Adult Children, has hit #1 in the Amazon.com “Parenting” category several times, and is still being heralded as a landmark resource for parents and grandparents. A follow-up to that bestselling book will release in 2018. Setting Boundaries with Food won the prestigious Selah Award for Best Book of the year in 2013. With a Foreword written by author and recording artist Bonnie Keen, Allison’s newest book, Setting Boundaries with Negative Thoughts and Painful Memories—How to Stop Hoarding Your Hurts released in March 2017. With a passion to assist people who long to experience the writing dreams of their hearts, Allison also works one-on-one with a limited number of writers every year. As a result of that, she has also edited, ghostwritten and collaborated on 10+ books in addition to her own extensive body of work. A frequent guest on national radio and TV programs around the country, she has been featured on James Dobson’s Focus on the Family, the 700 Club, the Dr. Laura Show, Good Morning Texas and numerous others. Born and raised in Cleveland, Allison came of age during the 70’s, when at the age of 15 she ran away from home and married a young man whose abuse nearly ended her life. Divorced and a mother at the age of 16, her tenacious spirit saw her through three decades of turmoil and addiction before she came to know the Lord. Her powerful testimony has been featured in national magazines and on radio and television programs around the world. There are over a half-million copies of her books in print. In 2014, Allison was honored with the annual Author of Influence Award at the Roaring Lamb Christian Writers Conference for her body of work and ongoing desire to assist men and women around the world in their efforts to achieve success in the field.